Leelee has it all - a beautiful home in Memphis, 2 wonderful girls, a social club, 3 best friends she grew up with, a nice hefty inheritance from her dad.....and the man of her dreams. Until suddenly he announces his dream is to own a bed and breakfast in Vermont. That's right - the North. The Cold North. Away from everything Leelee has ever known and loved. But he is the man of her dreams and she would not think of disappointing him. So off they go to Vermont. To the cold. A smelly Inn. Inhospitable Germans who stay on as "help" after selling the Inn to them. Back to the cold. Moose signs with no moose. Leelee finds herself suddenly working for the first time, dealing with the weather, hostile help and many interesting townspeople who receive full descriptions. Then the unthinkable occurs - her dream man leaves her with no warning.....for an OLDER woman! Leelee is now at a juncture in her life - does she to try to succeed on her own for the first time ever, to run home to her friends and family as quickly as possible, to try to get her runaway husband back, or a combination of all? A fun book that's a quick read. 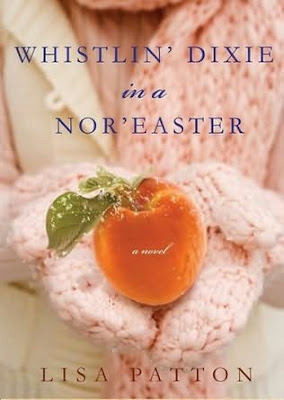 It has it romance, comedy, tragedy (but not too much) and the amusing antics of a Southern girl making it through a Northern winter. Oh, there's a revenge scene against the man of her dreams which will at first make your mouth hang open in disbelief... which quickly turns your mouth to being open because you cannot catch your breath from laughing so hard! Definitely something I'll keep in mind if I ever feel the need.